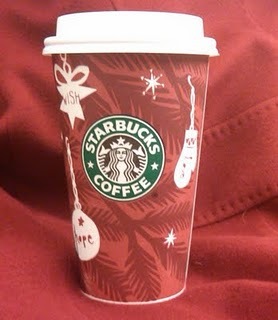 Fair Isle sweaters, gingerbread lattes, and a new holiday album by Mariah Carey...it's Christmas! 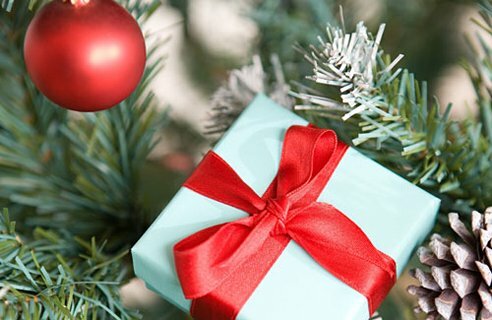 Finding that perfect gift can give some shoppers haute headaches. Here's five tips that I use to avoid a nightmare before Christmas. A little research goes a long way. Can't figure out what to get someone? Ask relatives, family, friends, co workers, anyone who spends a significant amount of time with the recipient. They will be your hint catchers. This is important, just because you think your bestie will look good in pink platform pumps doesn't mean she will like them. They will just end up in the back of the closet, or worse REGIFTED!! Do your research! The effort is always appreciated. If It's good enough for Santa, it's good enough for you! Now that you've done your research make a list of everyone you're gifting this season and stick to it! We all get caught up in the holiday spirit and end up overspending. Betty from accounting while she's nice, does not need a gift! A simple happy holidays should suffice. A list also helps with time management so you're not all over the store wondering what to get everyone, it's frustrating and you usually spend to much because you're tired of looking. Stick to the list! Wrongly labeled as boring, gift cards can be the perfect gift. They're never too small or too big, and they are always the right color....GREEN! Lets face it, we all have that one person who you never know what to get. This way they can get what they want when they want. Find out what they're favorite place is or go universal and get an American Express Gift card (I stack these up during the holidays), I'd rather get a $10 gift card than a ugly sweater I will never wear. 4. Be a craft king/queen. Short on funds? That's okay, embrace your inner artist and make something chic. Personally I adore handmade gifts. I cherish then more than store-bought things because I know it was made especially for me. Knit a scarf or hat in their favorite color. Need a gift for a writer? Take a journal and cover it in their favorite images, you can call it a mobile mood board. One year for Mothers Day when I was small I couldn't afford a fancy gift for my mother so I wrote her a poem and framed it, instant waterworks! A gift from the heart is priceless! Every year I buy myself a gift. I wrap it and put it under the tree, it's my present to me. Maybe it's a wallet I've been coveting or a new electronic toy. Whatever it is it's my treat to myself because I deserve it for working hard all year. You should feel the same, and I know you'll get gifts from family and friends but this one is special because it's from you!